A legend is born at the International Motor Show Germany (IAA) in Frankfurt. It’s 12 September 1963: Porsche proudly presents the eagerly anticipated successor to the 356. The new sports car, originally known as the 901, is following in great footsteps. To reflect the ambitions of the brand, Porsche is now playing in a higher league with the new model: a flat engine with six instead of four cylinders and air-cooled in the best traditions of the company, but delivering 130 PS straight away. 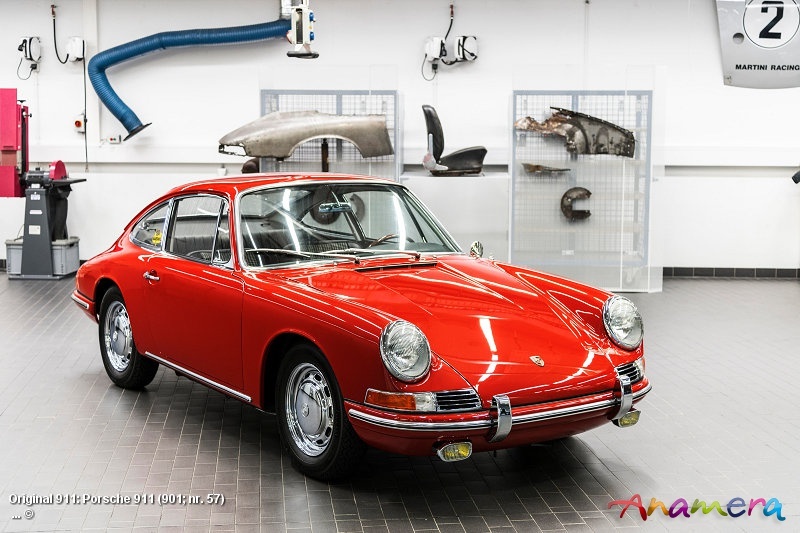 When the new model came onto the market in 1964 it was called the 911 – the result of a discussion about naming rights with the automotive manufacturer Peugeot. The 911 is quickly accepted as a “genuine” Porsche because the performance of the new sports car exceeds all expectations. The stage is thus set for an unrivalled global career. The expansion of the 911 model range then continued apace. In 1965, Porsche responded to a discussion in the USA that had branded cabriolets as dangerous in a typically pragmatic way: the company presented the 911 Targa as the first-ever “safety cabriolet”, featuring a roll-over bar that was a good 20 centimetres wide, a removable roof section and rear mini soft top. This was known as the soft window. This was followed shortly afterwards by a panorama rear window with heatable glass. The name of the open-top variant – “Targa” – was derived from the Targa Florio endurance race in Sicily, which Porsche had already won four times. Additional model variants were ready in autumn 1967: the 911 T with 110 PS rounded off the range below the top model 911 S and the 911 E – the suffix “E” stood for petrol injection. This made it very clean: with these variants, Porsche was the first German car manufacturer to meet the strict US emissions regulations.